With just over three weeks until sleigh bells, ornaments, Christmas cookies, and visits from Grandma and Grandpa and Santa Claus blanket our lives, we have our collective eyes on new songs and artists just added to the Pure Pop Radio playlist. And here it comes…your early holiday gift, with more on the way tomorrow. Today’s bounty of new music on our air, all wrapped up in a festive box full of holiday cheer, is now spinning in rotation. Preoccupied Pipers | “Optimist John” and Rhythm Akimbo | “Old Trope Academy” Musical whiz kid KC Bowman, who’s been a part of Pure Pop Radio playlists since his solo debut, Fresher Tin Villages, emerged on the scene in 1998, pops up on both of these songs, hitherto unknown (at least to us) and likely to you, too. Preoccupied Pipers’ members were drawn from locations far and wide and mostly picked from the ashes of a band called Lawsuit. Rhythm Akimbo was a college band described as working within the genres of “bubblegum, buttrock, reggae, ska and hosefunk.” All of which hardly or properly describes these two classic slices of melodic pop that we are proud to be bringing to you in rotation. More of KC’s musical exploits, waxed prior to his current stints in Agony Aunts and the Corner Laughers, are coming soon to this very same collection of airwaves. This guy has quite the history, and we aim to bring it to you in all of its hook-filled detail. The Reed Brothers | “Trampoline” The first song from the long-awaited new EP from Andy Reed and his brother Jason, aka the Reed Brothers, is a dreamy, tender ballad with lovely backing vocals. You can practically feel the ache in the notes and words. The gorgeous slide guitar solo, bathed in an ever-so-slight echo, is worth the price of admission all by itself. You know how much we love a good tune. This is one of them. Now spinning in rotation. 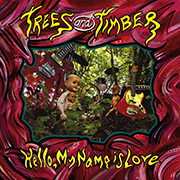 Trees and Timber | Hello, My Name is Love and Electric Gypsy Lovechild Many thanks to Wayne Lundqvist Ford from the Ice Cream Power Pop and More show for sending Trees and Timbers’ Joe Baker to us. We’re now big fans of Trees and Timber’s crowd-pleasing brand of melodic pop. Reference point punters may hear a bit and a splash of the Sugarplastic in this wonderful mix, but all we hear is good pop music. 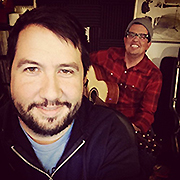 We’ve added five songs from Trees and Timber’s fine release, which drops on December 9: “Wolf and Sheep,” “Eskimo Son,” “Home Away from Home,” “Believe in Soon,” and “Future History.” From the band’s 2013 EP Electric Gypsy Lovechild, we’ve added the very cool “On the Bus.” Very nice work indeed. 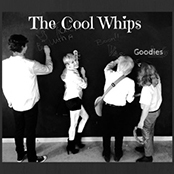 The Cool Whips | Goodies Searching for a bookend partner for the Cherry Drops’ Everything’s Groovy? Look no further than the bubblegum-coated nuggets that populate Goodies, from Portland, Oregon’s The Cool Whips. 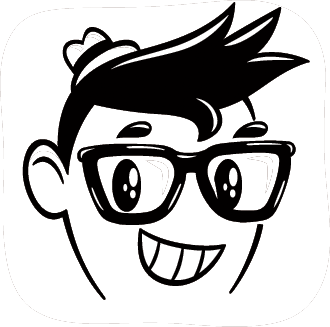 Goodies pops the house with a dozen earworms passing catchy hooks toward your ears. We’ve added five very cool tunes to the Pure Pop Radio playlist, including “Tickle Me with a Featherduster,” “On the Seesaw,” “Pink Lemonade,” “Where Can that One Girl Be,” and “Boom-Shang-a-Lang.” Spinning happily in rotation presently. 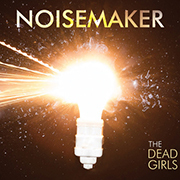 The Dead Girls | Noisemaker The just-released Noisemaker puts the power in power pop, delivering an album’s worth of catchy, muscular, hook-filled gems. We’re featuring seven of these songs, including “Better Wait,” “What It Takes to Be Unseen,” “Live by Default,” “We Won’t Make the World End,” “Dress Up Dress Down,” “Calling You Around,” and the tender ballad “Sun and Moon.” This is a really fine album that’s the final slab of wax from this Kansas band. Sorry to hear that, folks. We hope you enjoy hearing the latest adds to our ever-growing playlist. 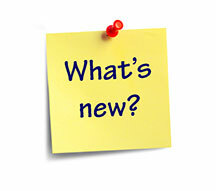 Check back here tomorrow to see what else we’ve added this week. This entry was posted in New Songs Added to the Playlist! 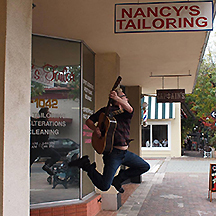 and tagged alan haber, kc bowman, new songs and artists added to the pure pop radio playlist, preoccupied pipers, pure pop radio, rhythm akimbo, streamlicensing, the cool whips, the dead girls, the reed brothers, trees and timber. Bookmark the permalink. It’s New Tunes Thursday! Just like Two for Tuesday, Only More Musical!